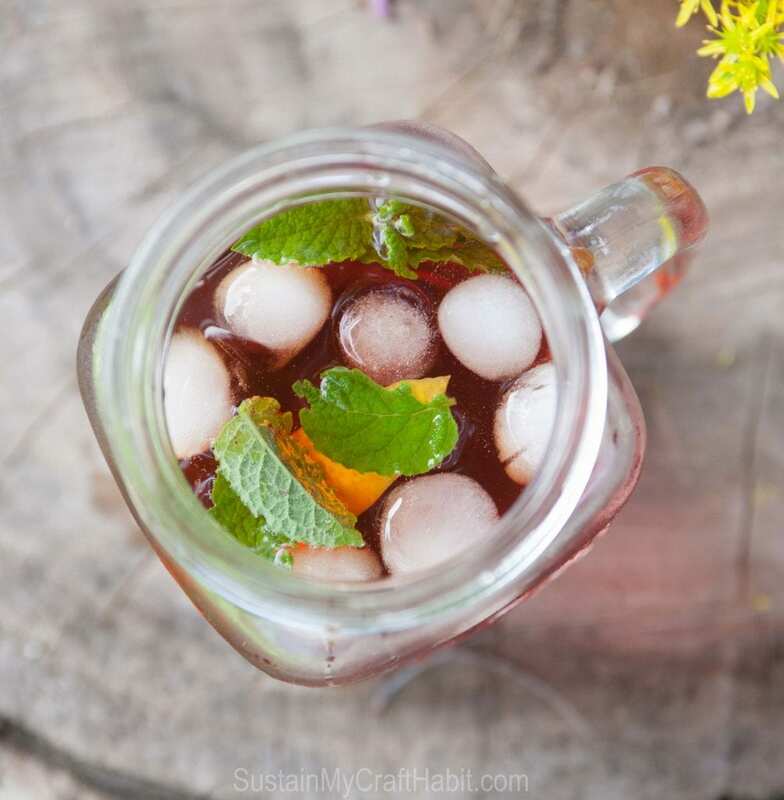 Try a refreshing herbal twist to your summer iced tea. This cold Linden tea, infused with mint and lemon and served on ice is a delicious and pretty beverage for the summer. In recent weeks we’ve been picking our own Linden tree flowers and leaves and drying them. 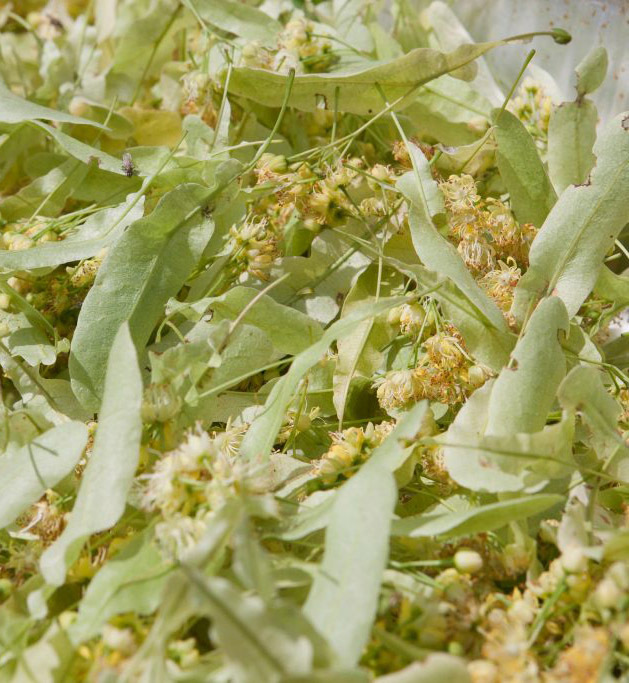 You can easily dry your own Linden tree flowers collected from your own neighbourhood. In addition to making a delicious non-caffeinated hot tea, we love it as iced tea! It’s a nice alternative to traditional iced tea which is usually made from caffeinated teas such as orange pekoe. With it’s anti-anxiety properties, Linden tea is suggested as a good before-bed tea. Moreover, its beautiful red colour makes it a pretty beverage on your dinner table! 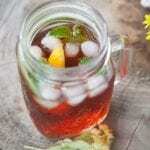 Here’s a refreshing and easy iced tea recipe to enjoy. A refreshing and easy herbal alternative to your summer iced tea: Linden tea infused with fresh lemons and mint, and served over ice. Yum! Poor cooled tea over ice. Add lemon slices and mint leaves. 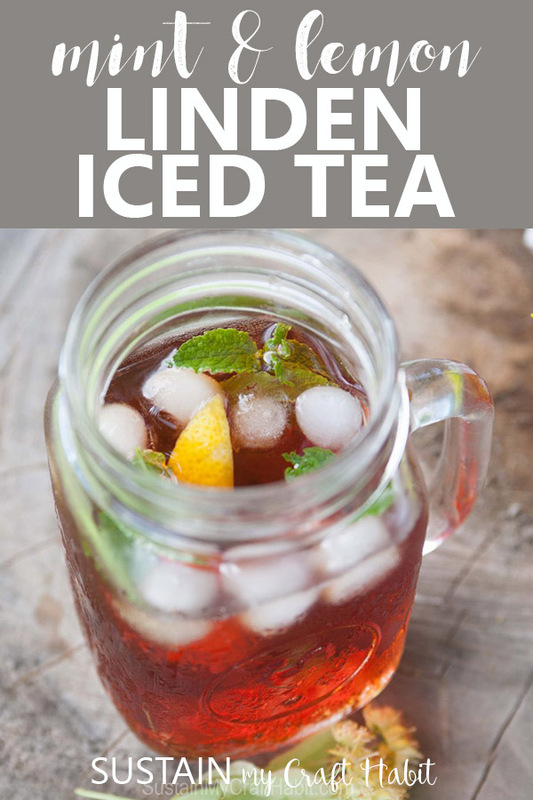 You can easily prepare a large pitcher of this iced Linden tea for your back yard BBQ and add it alongside a DIY hot tea bar for your gatherings. It also tastes amazing alongside our zucchini bread with berries. 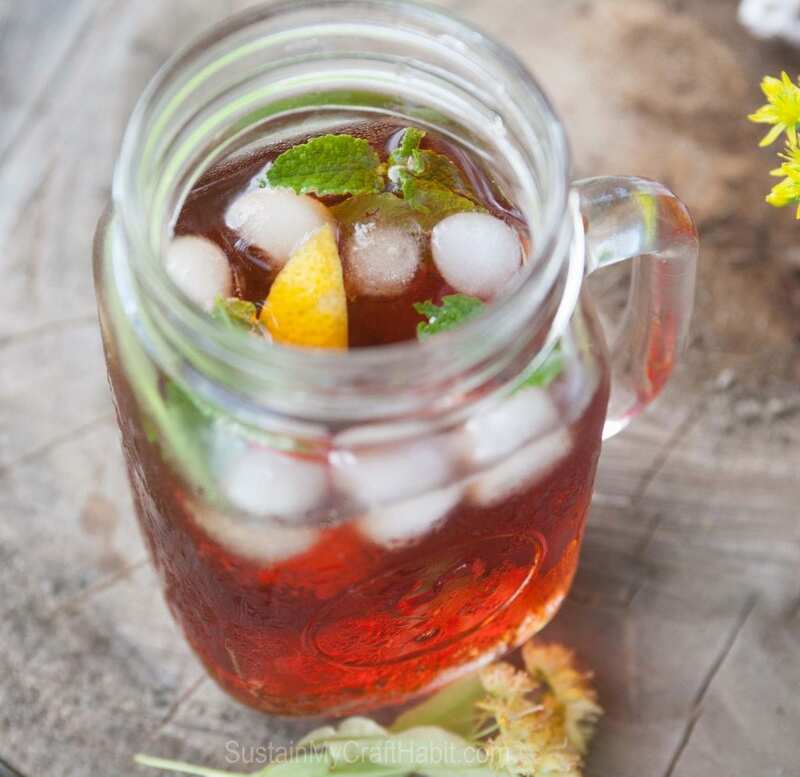 Do you have a favourite iced tea recipe for the summer? 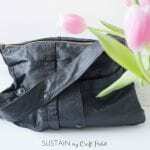 Previous Post: « DIY Sugar Scrub with Lavender and a new Faucet! We just love the rich reddish colour! Thank you for stopping by and having us as co-hosts for the #HomeMattersParty. Sounds yummy. Great for entertaining. Thank you for stopping by Amanda and being such a great co-host for the #HomeMattersParty. Looks so refreshing! That would be a great drink for me right now while I am here visiting the Jersey Shore and fighting off a cold. I just don’t want to do hot tea in the summer. I wonder if this would help…It’s great co-hosting the #HomeMattersParty with you! Summer colds are the worst! I hope you feel better Nicole. Looking forward to another great month at the #HomeMattersParty! Ooo…looks delish! 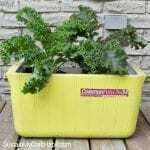 I have some extra limes at my house right now – I wonder if I could do limes instead of lemon? Whatcha think? Thanks for being a fantastic #HomeMattersParty co-host – we are loving having you with us! Hmmm- we haven’t tried limes but will have to give it a go. I’d imagine that would taste yummy too.